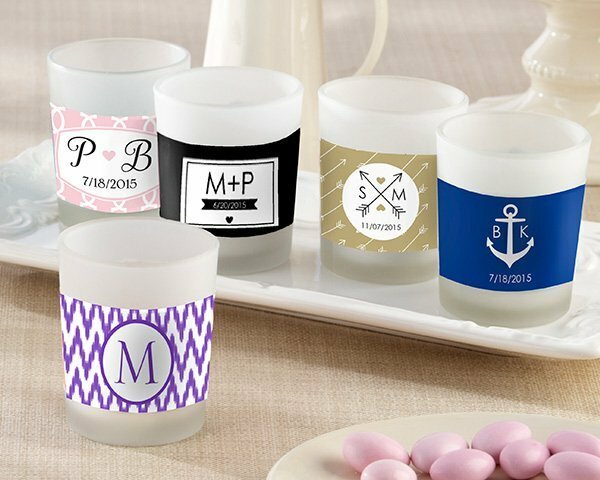 Put your names in lights - literally - with these illuminating votive candle favors! 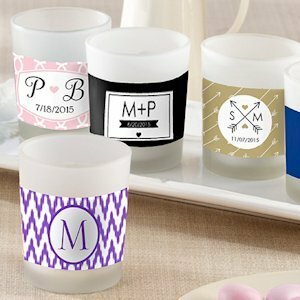 Featuring an optional wraparound label in 37 different background designs, your monogram, initials or names can be added (note there is a small additional fee for the labels). Behind the label you'll find a glass votive cup measuring 2 3/4" by 2" and contains a tea candle. 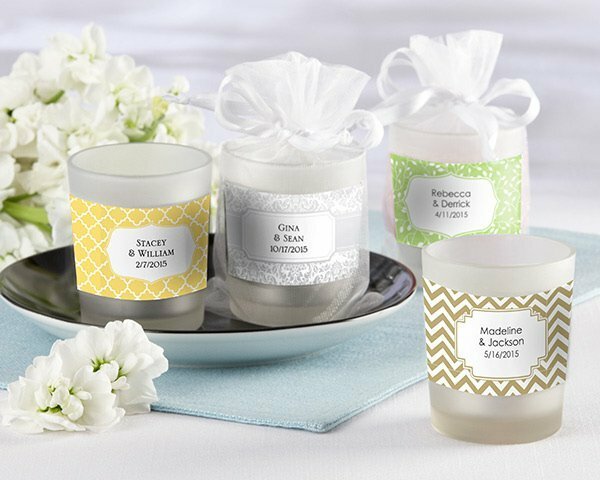 The favors are presented in a white organza pouch with satin drawstring so your guests can take them home for future enjoyment. Some assembly is required to adhere the labels to each candle holder.